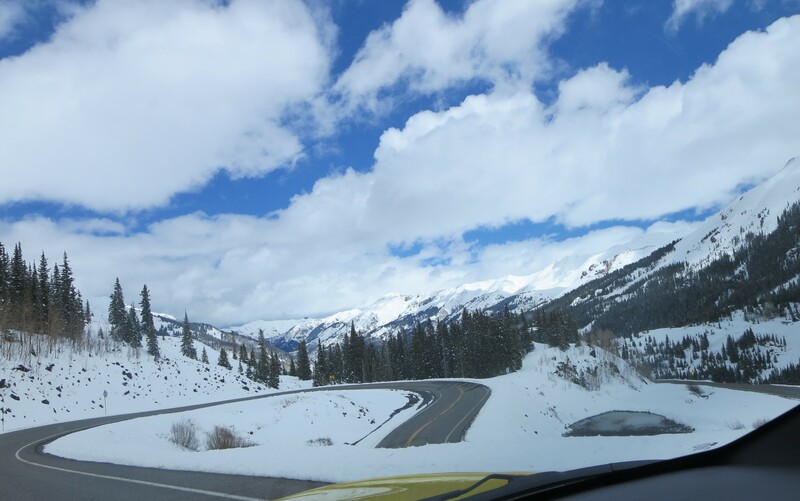 I left Durango this morning, heading north on US‐550 through Silverton, Ouray, and Ridgway, then southwest and then southeast to Telluride. The drive was spectacular. They had a lot of snow in the mountains yesterday, so it was like driving through a winter wonderland. The road was also twisty as it climbed up and down over several mountain passes. 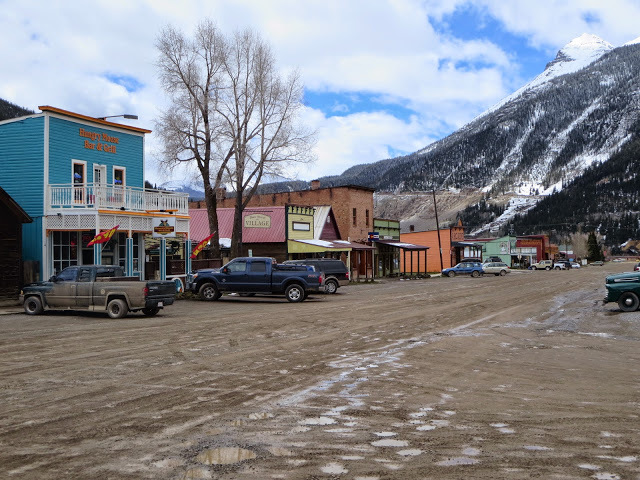 I found Silverton the most authentic of the three former mining towns I went through. Except for the main street through town, all the streets are unpaved. And the streets are extremely wide. I don’t know how many buildings are original, but it really had the feeling of an old western town upon which the 21st century has intruded. As opposed to Ouray, which feels more like it has melded its past with with present in a bit of a touristy mix. And Ridgway, which really wasn’t much of anything at all. 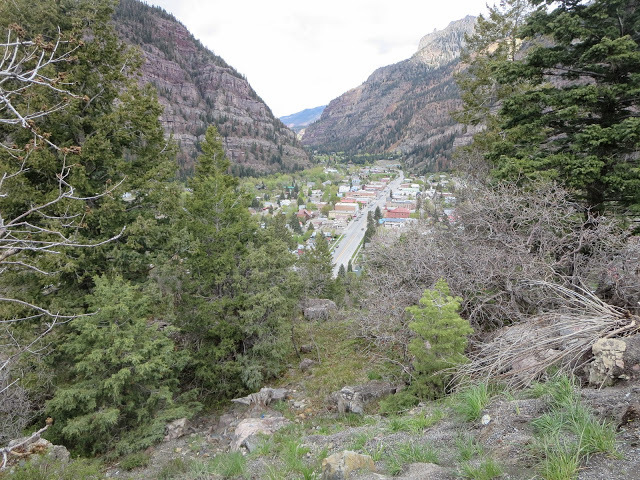 Ouray, nestled in this tiny, narrow valley, is prettier from a distance than up close. I’m in Telluride in the off season. Ski season is over, and the summer festival season doesn’t start until next week. The town is very quiet, and the free gondola is not running. I got here in time to take a walk along the San Miguel River (more of a creek really) and have dinner. Tomorrow morning before I leave I will wander through the main shopping district.